Great ideas, events, and endeavors all typically have one thing in common; perfect timing. 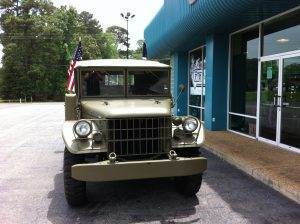 In the case of this 1952 Military M-37 Restoration, it was all about timing. This is a story about four M-37s that were part of the current owners past but were not on the market for any price until the day they showed up on the crush pile at the local scrap yard. These four vehicles may have had a role in combat, as M-37s were used from the Korean War until the beginning of the Vietnam War. 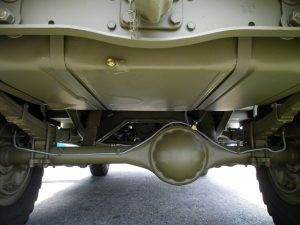 As military surplus vehicles, we know that these particular vehicles did play a role during hunting season, carrying kids out to Catahoula Lake in the winter time for a combat role in the war on ducks. 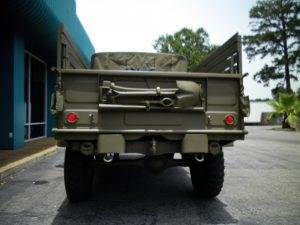 Although the owner enjoys collecting military vehicles and other surplus, this group of trucks was significant and had the type of intrinsic value to warrant a full restoration. 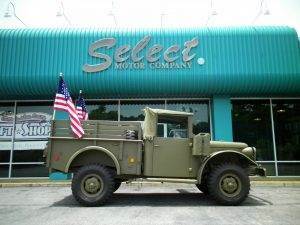 There may be many reasons this M-37 was brought to excellence. Regardless of why, it is safe to say that, it’s now perfect condition has a significant impact on viewers. It was interesting to see the M-37s with all of their patina, including a bullet hole in the driver’s door of one of the trucks. However, it is very believable and intriguing that this vehicle is now in the condition of a new M-37 ready for action in 1952. Our chemical stripping and E-coating process proved to be an excellent method to save a rusty vehicle on this build. The beauty of the chemical stripping process is that rust and rot are washed away, but good metal doesn’t have to be removed with the rust. Excellent metalwork and very thorough bodywork methodically brought this vehicle around to produce very straight body panels that appear to be unused. Vintage paint codes were available for this vehicle to get the color correct to the original hue. The paint used is a base coat paint with a satin finish additive mixed into the clear coat to produce a beautiful finish without an unwanted shine. 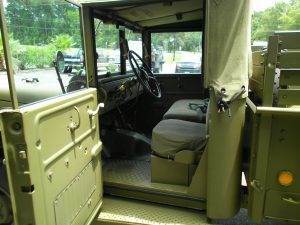 This mil-spec 1952 Military M-37 Restoration build is truly an example of master craftsmanship and a preservation of history that all Americans can be proud of.